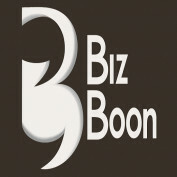 BizBoon is a social media company founded in King, ON, Canada. The aim of the company is to connect businesses worldwide and to promote entrepreneurship. In addition to the traditional social media setting, BizBoon offers customized services such as Company Setup, Legal Counsel, Finance & Accounting, HR and IT Infrastructure services to companies that want to expand into other countries. Currently these services are only available in India. However, in the future, these services will be provided in other countries as well. The website is free to join.